Our range of products include ladies button down jacket, chinese collar jackets, gray angrakha jackets, burnt orange ladies jacket, soft leather collar jacket and yellow angrakha jackets. In order to make high quality collection to clients at affordable prices, we are highly engaged in offering a Ladies Button Down Jacket. These jackets are tailored using high quality fabric sourced from authentic vendors of the market. 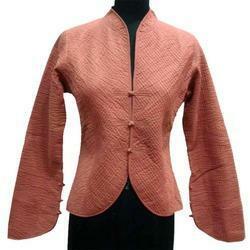 These jackets are highly demanded in the market for their alluring designs and numerous sizes. Apart from this, we are offering these products at industry leading price within the committed period of time. With passionate devotion and effort of our team of skilled professionals, we have established ourselves as eminent names in this market by providing Chinese Collar Jackets to our respected customers. Our offered jackets are precisely designed by making use of premium quality materials which is sourced from the authentic and trusted vendor of the market. Moreover, we are offering these jackets in various sizes at leading market rates. 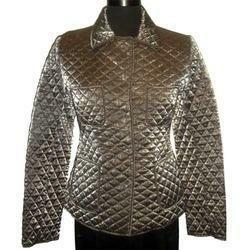 We are presenting a wide range of Gray Ladies Angrakha Jackets. These Jackets are available as per the global industry standards and have color stronghold. We present these Jackets in the dedicated time frame and in diverse sizes. 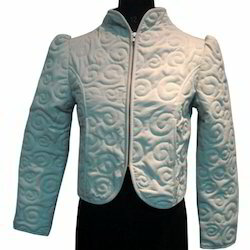 Our Jackets are pretend using best quality fabric under the vigilance of our experts. 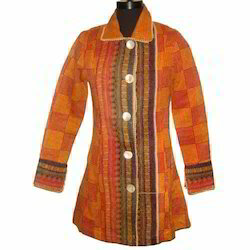 We are a trustworthy organisation in offering a wide gamut of Burnt Orange Ladies Jacket. Our company has mastered the art in offering Soft Leather Collar Jacket to the clients. Soft Leather Collar Jacket is widely demanded among clients owing to soft texture and perfect fitting. This product is designed under the stern guidance of experienced designers by utilizing fine grade material and sophisticated stitching machine. Offered range is carefully checked for flaws and errors to ensure quality. 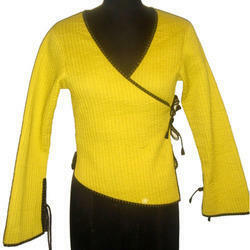 We are a trustworthy organisation in offering a wide gamut of Yellow Angrakha Jackets. 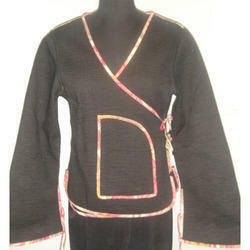 Capitalizing the expertise of our designers, we are presenting a premium quality approved an array of Ladies Long Jacket. The Ladies Long Jacket, we tender in a long pattern and able to meet the diversified needs and requirements of the clients. Moreover, its highly up-to-the-minute array is delivered from our end.